Onze verontschuldigingen, dit bericht is alleen beschikbaar in Amerikaans Engels, Europees Spaans, Duits en Frans. Voor het gemak van de kijker, is de inhoud hieronder weergegeven in de standaard taal van deze site. Je kunt op een van de koppelingen klikken om de taal van de site naar een andere beschikbare taal te veranderen. 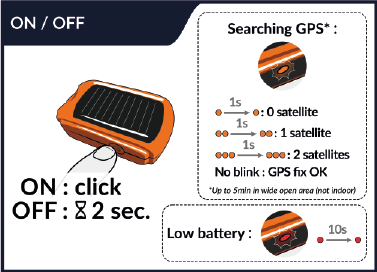 Searching GPS : the more it blinks orange, the more satellites are being acquired. Once GPS fix is done, it stops blinking. You may need to wait up to 10min for an initial GPS fix (may vary with cloud coverage). Without GPS fix, your track will not be recorded. 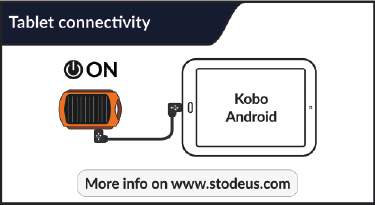 When acquiring satellites, the battery power consumption is important. 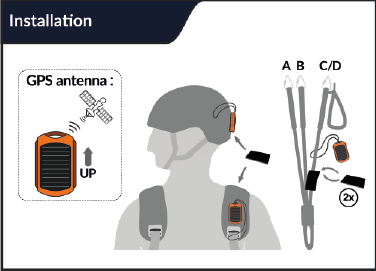 Antenna positioning : Make sure the device is facing up to get the best satellite reception. Even when you are getting ready, make sure nothing covers leGPSBip+, and the antenna is facing the sky. 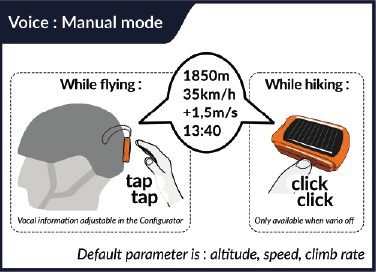 Track recording will start 1 minute before take-off detection, otherwise, in the Configurator, you can turn off take-off detection, and recording will start at GPS fix and run as long as the device is on. You can select four different volumes. 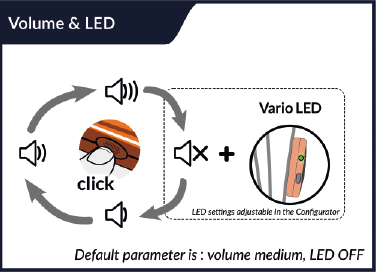 Vario silent volume : voice volume and LED behavior configurable in the Configurator. Vario volume consumes battery power : when set to maximum, the battery power consumption is important. 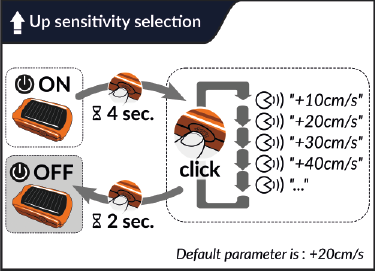 You can change the Up sensitivity without the Configurator (just before take off) following the diagram above. Note : if you have multiple profiles enabled, you will be asked to select your profile beforehand. 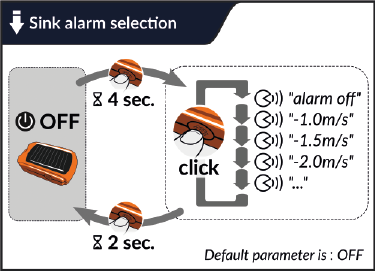 You can change the Sink alarm without the Configurator (just before take off) following the diagram above. 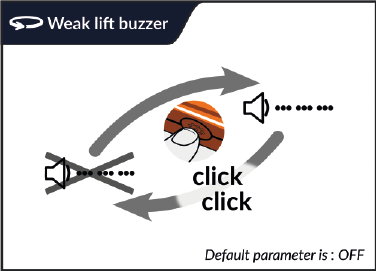 Weak lift buzzer : short modulations indicating weak lift. Threshold values can be configured in the Configurator. 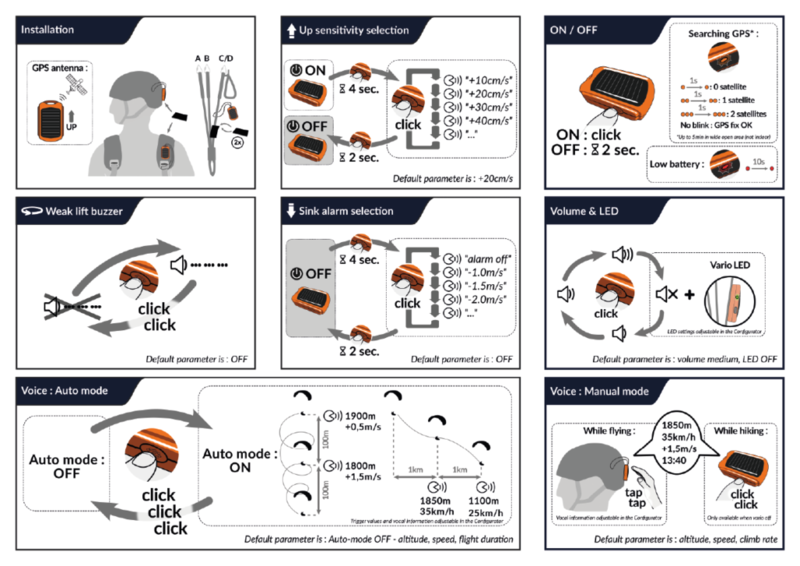 Note : When vario is off or disabled, vocal manual mode is enabled when double-click. You can request flight information anytime by double tapping or double clicking (if vario is off or disabled) on the device. Note : Double-tap force, double-tap disabled on ground, and voice format can be configured in the Configurator. You can enable or disable voice auto mode : announces flight information when distance, altitude or time triggering conditions are met. Use Chrome or Firefox. More info on the Configurator page. You can either connect the device to your computer as a USB flash drive, or charge it using your smartphone AC charger (or USB cigarette lighter adapter, or USB external battery). leGPSBip+ is always charging while under the sun ! 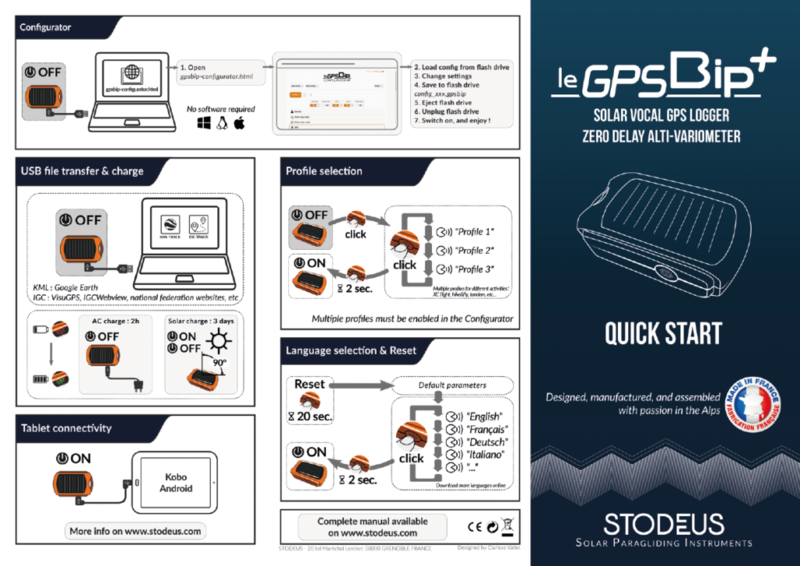 It will take about 20h of direct full sun to charge it completely. Note : do not place the device behind a window, or the windshield of a car, leGPSBip+ won’t charge, and the battery will be damaged. leGPSBip+ runtime depends on the amount of sunshine and the activated options in the Configurator (see energy info for each parameter). 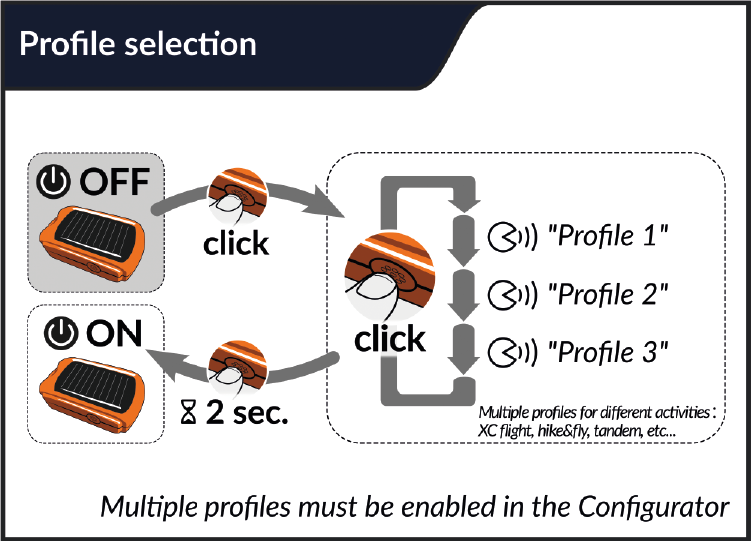 You can enable multiple profiles in the Configurator. If more than one profile enabled, selection will be asked at start up. 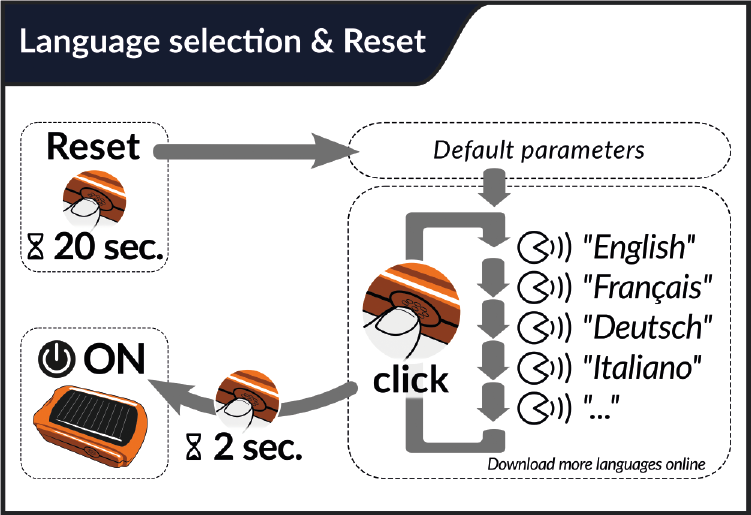 Proceed to a factory reset anytime : default settings will be applied and language selection requested. Note : your previous configuration file will be saved under the name before-reset-config.gpsbip. Languages : extra languages can be downloaded here.